Candida overgrowth or Candidiasis, in my opinion, is just as much an epidemic in our modern culture as Lyme disease. I believe that more people have it, than do not. The amount of highly processed foods and sugar that we consume is toxic and is a lot of the reason we see a rise in many diseases including cancer, diabetes, and heart disease. We are addicted to sugar in its many forms, and we are slowly killing ourselves from the inside out because of it. So, what is Candidiasis, exactly? It is important to distinguish between a true systemic infection where the fungus is transported through the bloodstream and an intestinal overgrowth that causes systemic symptoms. If it is not diagnosed and treated properly, the fungus can grow roots (hyphae) into the digestive tract, resulting in a more persistent infection and can cause leaky gut syndrome. This leads to Candida entering the blood stream causing a potentially dangerous systemic infection which can cause death. Let’s take a step back for a minute and discuss what the function is of Fungi (yeasts, molds, mushrooms) in nature. All members of the Fungi kingdom play a fundamental role in decomposition. They have the ability to dissolve organic matter and absorb nutrients from it. Their main function is to turn everything into compost. 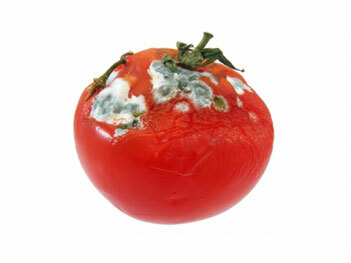 Think of when you buy a package of strawberries or cherry tomatoes and you leave them a little too long and mold starts to grow. It only takes days to completely disintegrate what used to be a vibrant, flavorful, healthy food into liquid and mush. This is what it does in your body, too. Antibiotics, consequently, are made from fungi. What does Candida have to do with Lyme disease? Candida overgrowth is a very real part of being treated for Lyme disease. At its foundation, it negatively affects the basis of our immune system, which is our first line of defense and prevention, and our main function in healing. Quite simply: happy gut, happy immune system, happy body; unhappy pathogens. When a person takes antibiotics, all of the “good bacteria” is killed along with the bad. This creates an imbalance which allows Candida to thrive and turn into a pathogenic infection with symptoms that closely mimic Lyme disease symptoms. If this is not addressed, it can become a severe systemic infection, causing irreparable damage, and even death. Continuing antibiotics when a severe or systemic Candida infection is present is very dangerous. It is not something to be taken lightly. The symptoms of Candida and Lyme disease are significantly similar (check out my Lyme & Co. Symptoms Checklist to compare). They can both be severely disabling and fatal. It makes it difficult, if not impossible, to monitor the progress of Lyme treatment accurately if Candida overgrowth occurs. It is imperative to take Probiotics and eat a strict diet while being treated with antibiotics in order to keep this in check and prevent infection. Candida infection can also occur due to a diet high in processed foods and sugar. This is why it is important to be properly diagnosed. It is possible to have a negative Lyme test, and based on symptoms, be diagnosed with Lyme disease when, in fact, your symptoms may be due to Candida infection. A patient could very easily stay on antibiotics thinking they were still having Lyme symptoms, when in fact their remaining symptoms were due to Candida. I personally believe this should be ruled out prior to Lyme treatment in the case of a negative test. Candida overgrowth is much more common than most people realize. It is still possible to have this infection even if you don’t have the “common” symptoms of thrush, itching, or discharge. Most doctors are uneducated about Candida, and misdiagnose it or dismiss it as much as they do with Lyme disease. Similar to Lyme disease, it can affect all parts of the body including joints, organs, the brain, and the nervous system. It also can be a silent killer. Rather than starting in the blood and hiding in the body like Lyme, it starts in the body and moves to the blood. Unlike Lyme, you don’t have to get it from another carrier, it already exists within you. The question is do you eat a diet that feeds it and allows it to become a pathogen? The good news is this is relatively easy to prevent and treat with the Anti-Candida diet or Elimination Diet and Probiotics. Depending on the severity of infection, antifungals may be needed (see Treatment pages). Much to my dismay I learned that Candida can double its population in one hour, so cheating on the diet is not an option if you want to get and stay healthy. I have provided basic information and resources on this diet along with other helpful information on the Nutrition pages and the links to the right. The idea in treating Candida is to starve it to death. It doesn’t matter what herbs or medications you take to kill it, if you feed it, it will continue to grow, worsen, and return. And the more Candida you have in your system, the less immune function you have leading to more illness. Keep in mind everyone has Candida in their digestive system. It is natural. When it becomes an issue is when there is an overgrowth and imbalance.When you don’t have the population of good bacteria to compete with it and keep it in balance, it takes over.It is like a little micro habitat that acts the same as all of nature…if one species declines, another increases and overpopulates (think of the wolf/deer population scenario). It’s all about balance.Everyone can benefit from eating an Anti-Candida diet, which in essence is really just getting back to a natural diet that our bodies were designed for. It is a return to the primal diet, a return to health and balance. In doing so, you are naturally supporting your immune system; hormonal, adrenal, and bodily functions; and helping to prevent all disease on a long term basis. There are several tests that can be done to determine the severity and the strain of Candida overgrowth. Similar to Lyme disease, however, testing is not 100% accurate, so clinical diagnosis is necessary to supplement any testing. A simple blood test will tell you if you have an immune response to an infection or a systemic infection, in which case, immediate treatment is necessary. If it’s in your blood, it’s serious (see the Testing page). You can also do a complete profile stool analysis to determine if there is an overgrowth in your intestines and specify which strain(s) may be present. This also shows what beneficial bacteria are present and in what numbers to help determine what type of probiotics are needed to restore balance. This is also good for testing for parasites (see the Heavy Metals & Parasites page). When I first started Lyme treatment, I had heard of Candida, that you should eliminate sugar from your diet, take probiotics, blah blah blah. No one emphasized the severity and necessity of eating a strict Anti-Candida diet. Even Dr. Burrascano’s Guidelines mentions it and states how important it is to control. Had I not stumbled upon the information myself, I could quite possibly still be on antibiotics to this day, getting worse as time went on. Once I figured it out and discussed it with my doctor, a blood test was done that determined I did, in fact, have a severe infection. I went on a strict diet, treated it with anti-fungal medication, and my remaining symptoms quickly disappeared. I noticed improvement within days, and significant improvement in the first two weeks. I began to feel my normal healthy self again. After 4 months, I went off of the diet, feeling as though I was “cured”. My tests and cultures all came back showing both the Lyme and Candida infections were gone. One month later my symptoms returned and I could have sworn I was having a Lyme relapse, only to find it was the Candida returning. At this point, I realized that you have to continue the diet past the time that your symptoms improve. It takes a good amount of time to restore your body completely to its natural functions. The severity and duration of the infection determines how long it will take for your body to restore balance, sometimes months or years. Just because your symptoms have improved does not mean that you are completely healed. It just means you have begun to establish balance. For more detailed information on Candida, please see Resources & Links to the right. Natural Candida Cleansing, in particular, saved my life. It has detailed information and research; testing and treatment options; and photos that show the damage it can do to organs, joints, and bones. Dan Jaxon, the person who created the site (and Yeast Infection Advisor) suffered beginning in childhood from digestive problems and repeated antibiotic treatments due to an undiagnosed milk allergy. In 2003, he finally figured it out on his own and after 14 months of treatment, he was healthy again. He spent a lot of time compiling all of the information on both of his websites in an effort to help others. He inspired me to do this website to begin with. He has a wealth of knowledge and is altruistic with the time and attention given to those with questions. Special thanks to Dan Jaxon for his endless support, patience, advice, time, and help in understanding this illness. If I told you that you could possibly get your life back with diet, would you try it?